It is this ranking we will make a selection of the most valued routers of the prestigious manufacturer ALFA NETWORK. The best WiFi router of 2, 4Ghz of this comparison are selected from among those designed by the manufacturer Alfa taking into account the qualities as long distance WiFi repeaters. The objective is to compare the characteristics and possibilities of the different WiFI router for external antenna. 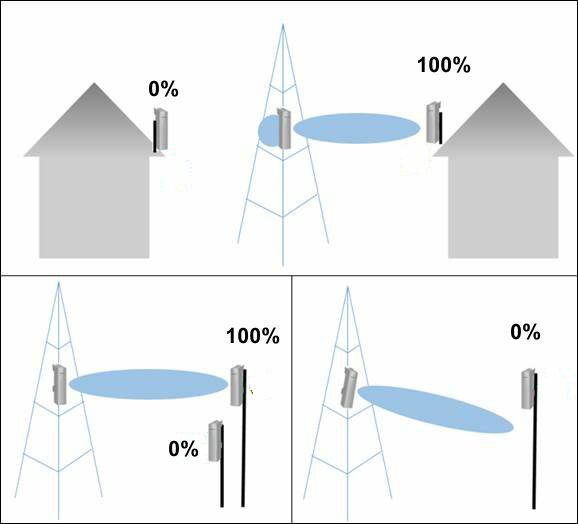 Many users ask us how to connect a long-range external antenna to a router and also which router is best to adapt a cable antenna and place it on the street. 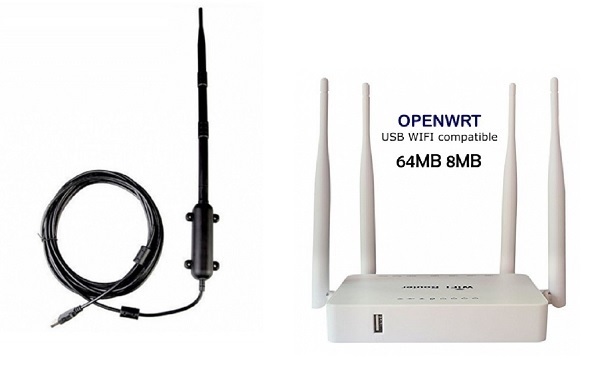 For this comparison has been valued mainly the capacity to be able to configure both as points of access, bridge WiFi and client WiFi and especially the interconnectivity with cables for antenna type SMA and N also the possibility of power by PoE. 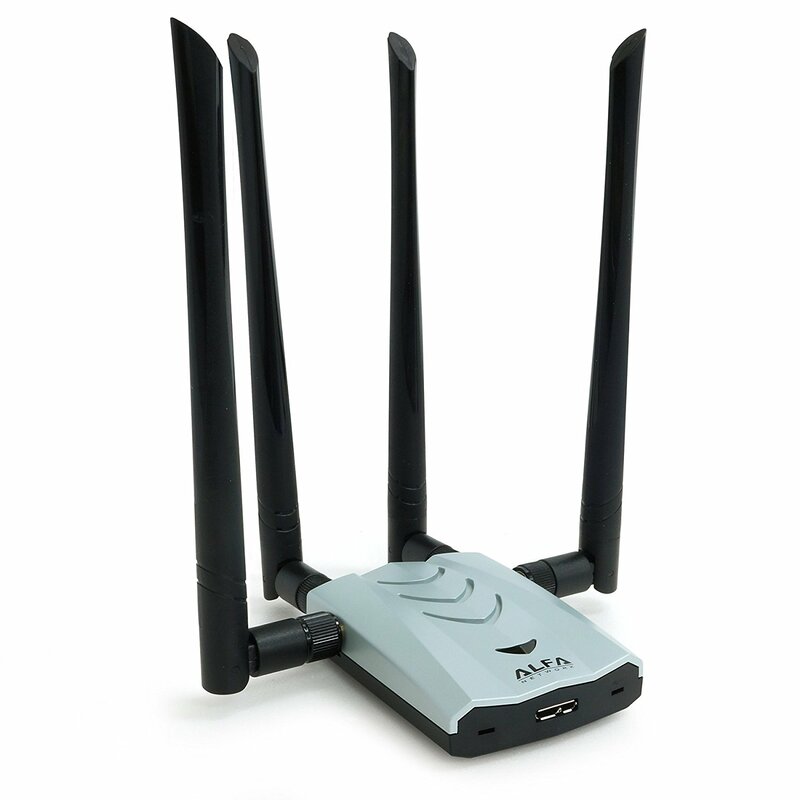 The three router that we are going to compare allows to connect long-range WiFi antennas thanks to its SMA connectors because Alfa WiFi manufactures its router with detachable antennas. Fortunately the brand ALFA NETWORK technology products manufacturer specializing in wireless router and antennas that produces the best antennas and WiFi router. With the aim of being able to advise the restless users who want to take their WiFi connection beyond the walls of their house we propose to be very attentive to the multitude of possibilities that offer these three incredible WiFi router. To define what a router is, we can start from the most used definition according to which a router is any network device that works in Layer 3 of the OSI model. The router is the hardware that directs and sorts the traffic depending on the IP address it is intended for. The router works as a “computer” has a processor board, RAM memory, internal flash memory and network connection ports. 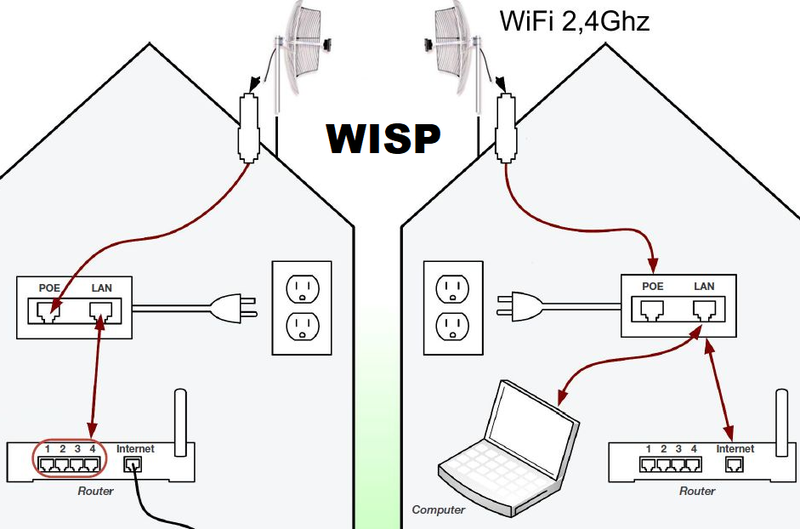 If we want to use a router with the long range WiFi receiver function, we need the router to be configured in WiFi client mode and also to connect a long range antenna or WiFi directional antenna. With these basic features, the models that interest US add external WiFi antennas and in some cases USB connectors. These are the three routers of the Alfa Network manufacturer most used to transmit WiFi connections from one building to another. This powerful WiFi router AP/router with PoE power manufactured by Alfa Network is perfect for use as a WiFi access point with AP/router as the 5DBI antenna is a detachable RPSMA antenna and can be adapted to any long-range external cable or antenna . It works as AP WiFi, WiFi client and bridge or WiFi repeater. It can be fed via PoE port, so it is very useful to install it very far from the main router, on the roof or wall to connect it to a parabolic antenna type AGA2424T and link point to point to more than 15km with another WiFi router that receives with a characteristic s similar. In addition to PoE connectivity it carries different configuration modes including the dual SSID. With this router you can set up an AP WiFi access point with two different SSID network names at once. But it not only works as a WiFi transmitter or AP router but it is also a WiFi receiver or client router. 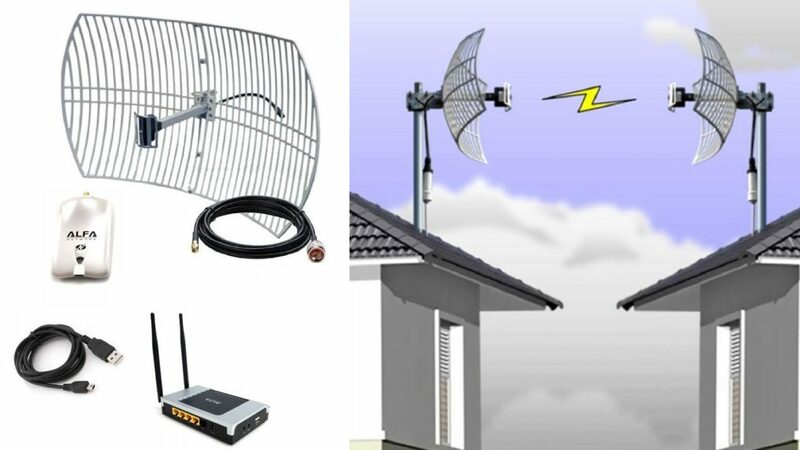 For its characteristics is the most used to make links to WiFi 2, 4Ghz from point to point to 10 km., 15 km and even more in open spaces adapting a satellite dish WiFi or Yagi and configuring two of these router, one as AP WiFi and the other as a WiFi client. In this mode, the Routert functions as a Wi-Fi receiver adapter (i.e. a Wi-Fi client) and depends on the Wi-Fi signal from another router or access point for Internet access. The client mode is used in the following case: When you need Internet access, but a cable connection is difficult or impossible to configure between your router and another WIFI emitter. The Ap121 has also become famous for being a router with anti-hacker design. The SPI security Advanced Firewall protects the internal host against hacker attacks. FREE Shipping!! 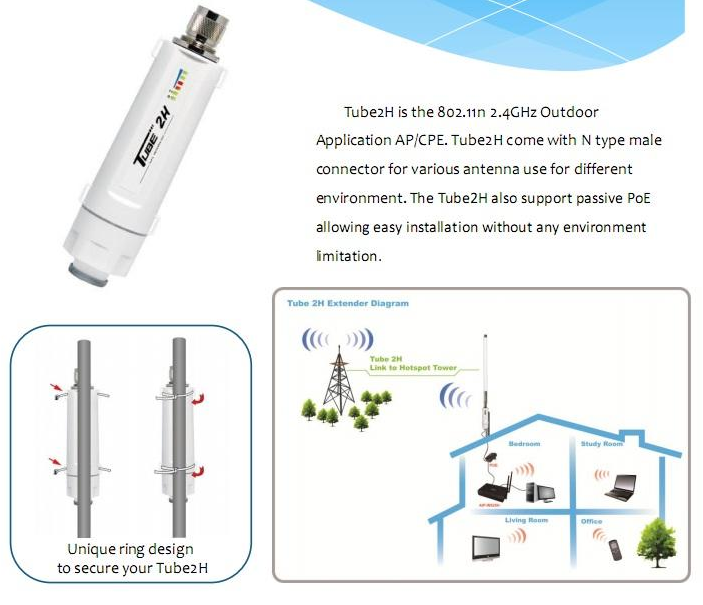 The Alfa NEtwork Tube2H is an outdoor bridge (AP/CPE) that has connection for WiFi antenna of type N male. It can be connected to all types of outdoor antennas that have a female N-connector. Notable for having a built-in LAN/WAN RJ45 type port that allows PoE power. 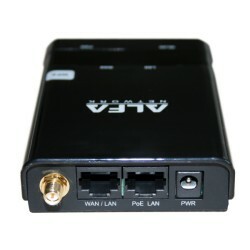 This CPE Tube Series Router ALFA stands out for having built-in a LAN/WAN port type RJ45 that allows power by PoE. This original Alfa Network router is both a router and an outside CPE. It works both as a WiFi access point as a customer and WiFi repeater. It is designed to work with different functions according to the need you can make of Router, AP access point, Bridge, Cleinte WiFi and bridge client. 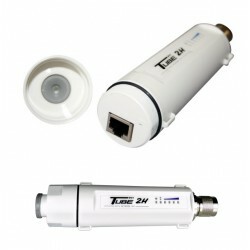 Tube2H WiFi External Adapter Poe Alfa Network A WiFi adapter type 802.11 b/g/n AP/CPE Poe for long range. 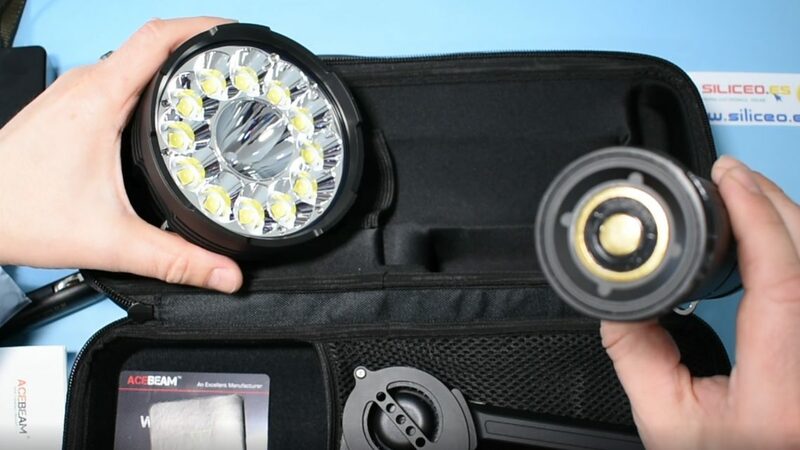 It is the ideal adaptor for outdoor use (boat, motorhome, camping, truck etc.). 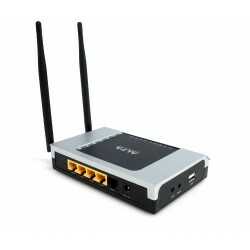 It can also be used in router mode, access or WISP or WiFi client. It has an antenna connector type N (female), and power supply 12v DC 220v or input for PoE. It is connected via an Ethernet cable (not included) and can be configured through the Web interface. Its transmission power is up to 27 dBm or 500 MW. 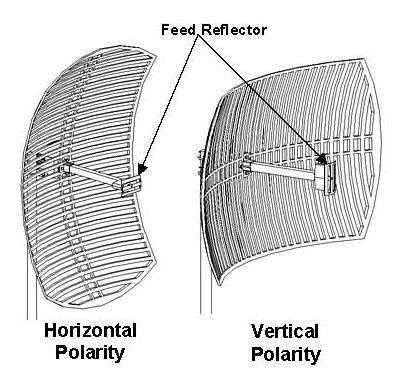 This router model is ideal to buy and attach to a WiFi Parabolica as it has N connector compatible with these large antennas, also with directional Yagi wifi antennas. The Alfa WiFi router is designed with a USB port that is compatible with USB-powered WiFi antennas. 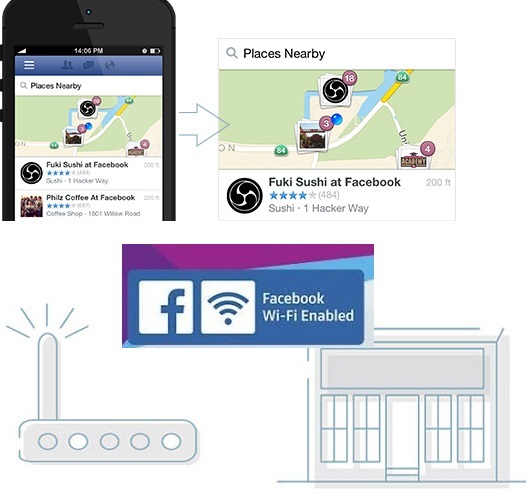 You can work as a WiFi Internet relay at a long distance. 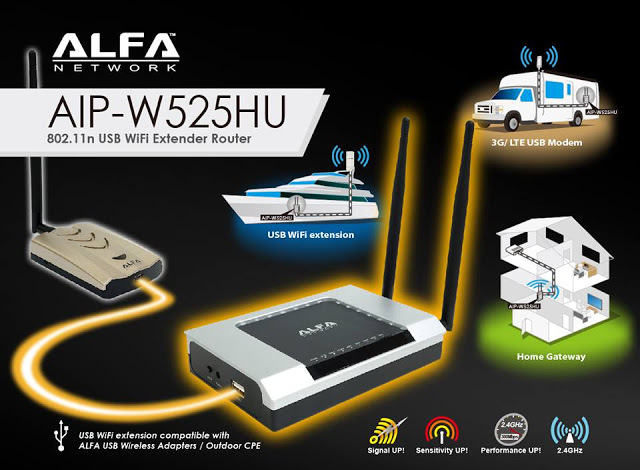 It is the ideal router to replace the old Alfa R36 that no longer works with these new antennas WiFi USB alfa. 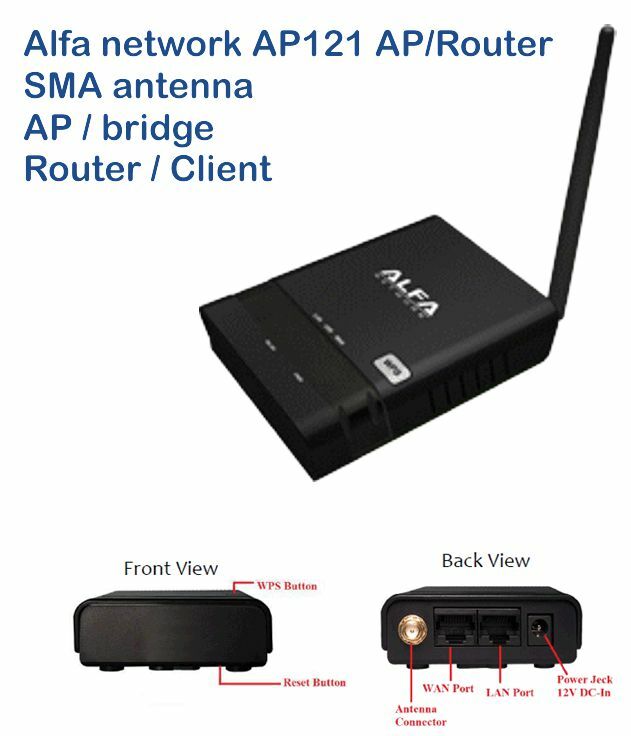 WiFi Alfa Network Router with USB port for repeating internet of antennas and WiFi adapters of high power or for USB modem of 3g and 4g. It is a new model of Alpha Network router that works just like the USB router Alfa R36 but also has 4 ports for Ethernet LAN and 1 port for POE injectors. The USB port is compatible with WiFi USB adapters that carry Realtek chip RTL8812AU, RTL8188EUS, RTL8188RU, Ralink RT3572. You can connect a long-range antenna to new alpha models or another brand that uses those same WiFi chip and the router will repeat cable Internet and a new WiFi network. In addition s epuede to feed both with the 5v power adapter and with PoE type feeder with an Ethernet cable as long as you need. -Greater coverage, long distance Router, better performance and greater sensitivity of WiFi reception. -Power with passive PoE devices. * * NOTE: The USB port also accepts the compatible 3g/LTE and 4g USB modems that are in the table. It works with most of Huawei’s Internet USB Modem, Vibo and ZTE.